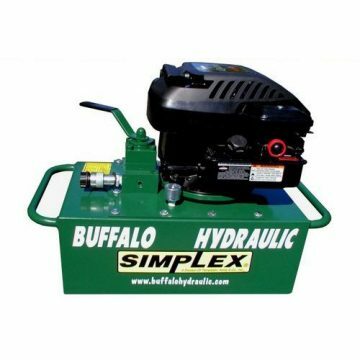 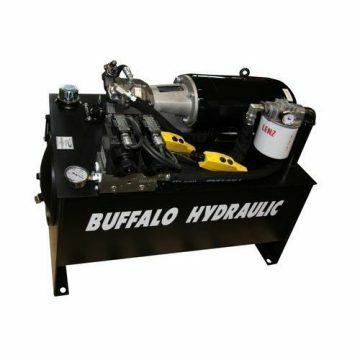 Buffalo Hydraulic BHEHP-10X3000-SPL Electric Hydraulic Powerunit. 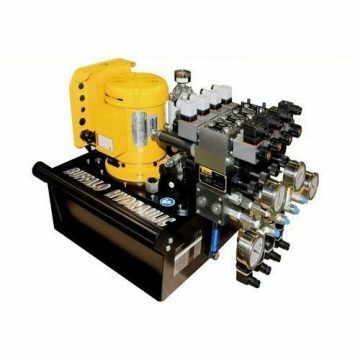 Factory set relief – bypass valve. 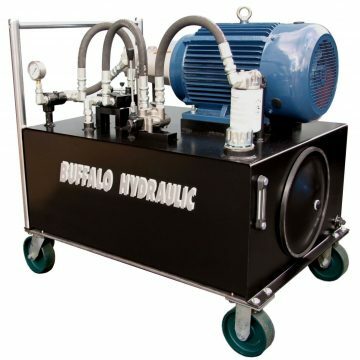 460 V.A.C., 3-Ph., 60 hz., 20 Hp. 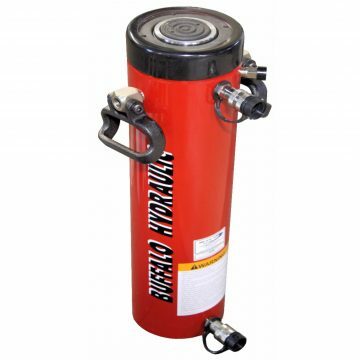 60 gallon oil reservoir with sight glass and temperature gauge. 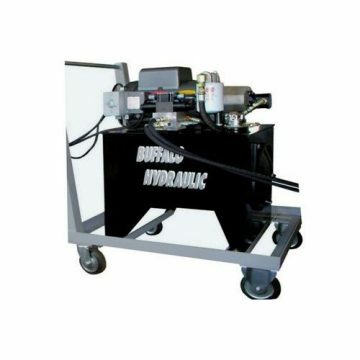 Manually adjustable flow control on ‘A’ and ‘B’ ports. 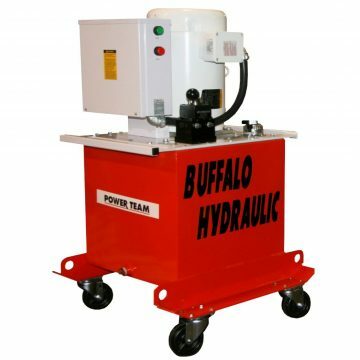 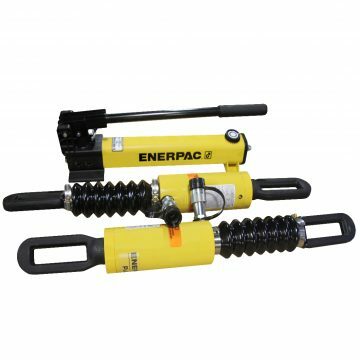 Equipped with (4) heavy duty (1,200 lbs. 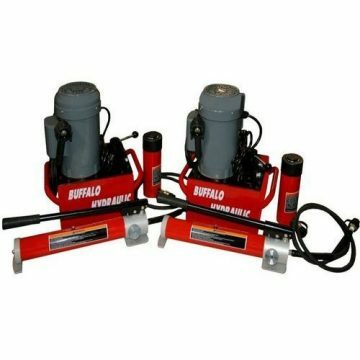 each) caster wheels for mobility. 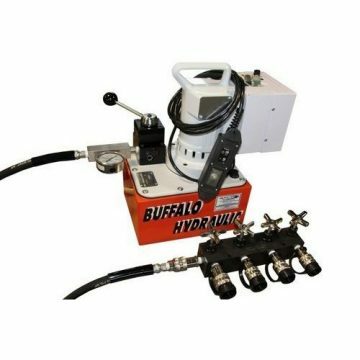 This foot print is easily adaptable to meet the flow rate, operating pressure and duty cycle of your application. 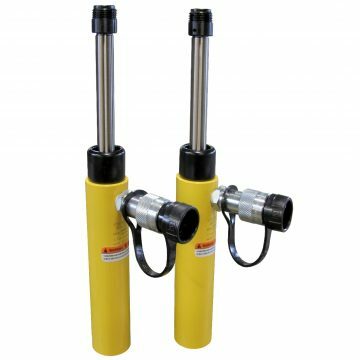 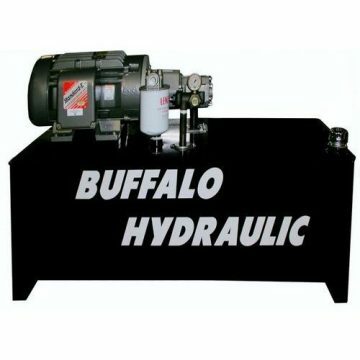 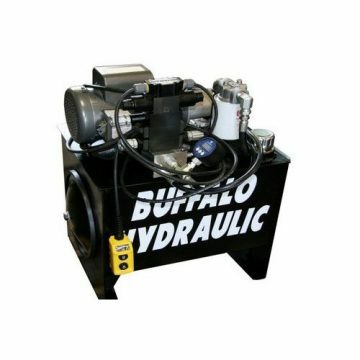 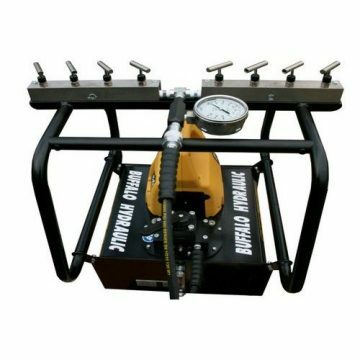 With an endless selection of pumps, valves, reservoir sizes and plumbing accessories, Buffalo Hydraulic can design and build a powerunit that will satisfy your most demanding application.